The Alley Theatre is a member of the American Arts Alliance, Central Houston Inc, Greater Houston Convention and Visitors Bureau, Greater Houston Partnership, League of Resident Theatres, Texans for the Arts, Theatre District Improvement Inc., Theatre District, Houston, and Theatre Forward. Seasonal operating expenses are partially supported by grants from the Texas Commission on the Arts and the City of Houston. The directors and choreographers employed by the Alley Theatre are members of the Stage Directors and Choreographers Society, a national theatrical labor union. The scenic, costume, lighting, and sound designers in LORT theaters are represented by United Scenic Artists, Local USA-829 of the IATSE. The Alley Theatre is a constituent of Theatre Communications Group the national organization for the nonprofit professional theater. The 2017–2018 Season is made possible by the generous support of Lynn Wyatt. 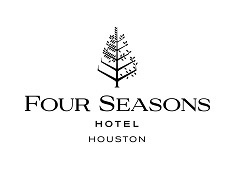 The 2017–2018 Season is made possible by the generous support of Four Seasons Hotel Houston, the official hotel of the Alley Theatre. The 2017–2018 Season is made possible by the generous support of United Airlines, the official airline of the Alley Theatre. The Alley Theatre's seasonal production and marketing costs are supported in part by the City of Houston through Theater District Improvement Inc. and Houston Arts Alliance.